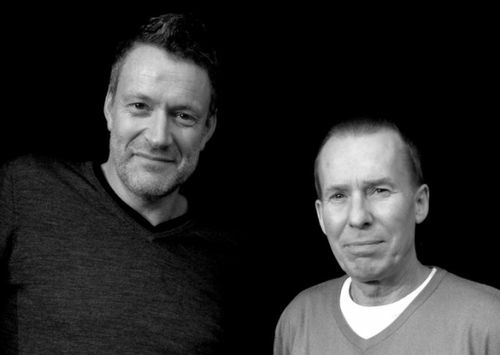 The comeback has never been a particularly surefire proposition: Orchestral Maneuvers in the Dark may have made it look easy, but the Human League — who are probably one of the most significant bands of the last 30 years — have been releasing new albums for a decade without so much as an NME blurb. (On playing the nostalgia circuit, Susan Sully recently admitted, "I'm miserable all day doing them. But we need the money and everyone has something they don't want to do.") It should stand to reason, then, that Blancmange — having never seen the chart success of their peers — would suffer a similar fate. 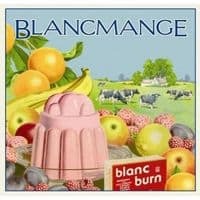 But with Blanc Burn, the English duo's first album in 26 years, they quite easily dodge the bullet of irrelevance by simply leaving the past behind. "Ultraviolent," for one, mines a contemporary glitch-pop sound not unlike Lali Puna and "Don't Let These Days" owes somewhat of a debt to Underworld, while "Drive Me" and "Probably Nothing" hark back to the '80s only to pick up the group's penchant for Indian percussion — which, let's face it, nobody was really doing back then anyway. In fact, there's nothing on Blanc Burn to suggest that Blancmange are trying to relive anything, and at its core, this may just be the secret to their comeback code: Whereas many of their peers are vainly chasing ghosts, Blancmange are unobstructed by their own history. Nanna Øland Fabricius's 2008 debut, Fauna, was an ambitious but ultimately uneven record that hinted at a splintered future: Oh Land would either find herself inside of a Björk–like space of accessible eccentricity or she'd make a move towards frustrating experimentalism — like a Scandinavian Coco Rosie armed with a sequencer. It turns out she's neither. For her second record, the self-titled Oh Land, Fabricius strikes an enviable balance between the two: Album-opener "Perfection" emulates some of the more heart-wrenching and harp-drenching moments on Vespertine but pays attention to rhythm with an almost hip-hop–like devotion, while "We Turn It Up" finds itself somewhere between "Hollaback Girl" and the Belle Stars for what might be the most outright celebratory song in ages. But where Oh Land most effectively shines is where she demonstrates a capacity to be none of these things. Songs like "White Nights" and "Sun of a Gun" suggest that — underneath the storybook imagery of sirens and wolves — is a heartfelt realist. 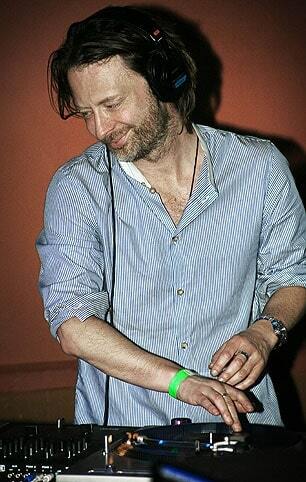 Now that he's found the turntables, you're not likely to see Thom Yorke with a guitar strapped on any time soon: The Radiohead singer showed up to The Airliner club in Los Angeles for a surprise DJ set this past week, spinning everything from Kraftwerk and Fun Boy Three to more underground techno and dubstep tracks by Modeselektor, Squarepusher, and Burial. Canadian techno pop duo Junior Boys have announced the release date for their third album, It's All True, which is due on June 14 for Domino. The first taste of this record — a swirling, arpeggiated synthpop run called "ep" — is available as a free MP3 download HERE. Adele is "selling a crapload of records": Her sophomore album, 21, notches two weeks at #1 in America — and becomes this year's first gold-certified album after only two weeks — while her reign at #1 in the UK continues for a staggering seventh week. Fleet Foxes' Robin Pecknold quietly released a free three-song solo EP this week, available for download HERE. It's worth it alone for "I'm Losing Myself" — an elegantly understated acoustic duet with Grizzly Bear's Ed Droste. Logo's fourth annual NewNowNext Awards have announced its headlining musical performers, and they're clearly banking on a big year for Scandinavian pop: Robyn and Oh Land will anchor the show, scheduled to air on April 11. 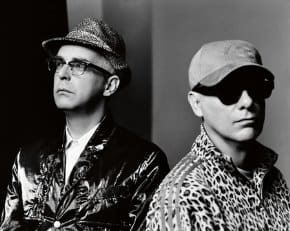 Having already conquered pop music, musical theater, and film scores, the Pet Shop Boys are now producing for pirouettes: The Most Incredible Thing — a ballet set to one of Hans Christian Anderson's lesser-known works — premieres in London this week, while its score, composed by Pet Shop Boys, is out today. "Our pop is dance music, but you should be able to go into contemporary dance too," says Neil Tennant. "We've never been afraid to explore areas not normally covered by pop." TV on the Radio bassist Gerard Smith has been diagnosed with lung cancer. In an official statement released this week, the band seems optimistic: "Gerard is fortunate enough to have health insurance and is receiving excellent medical care." TV on the Radio's upcoming fifth album, Nine Types of Light, is due for release on April 12. Shoegazers (and Jesus & Mary Chain fans) among you will no doubt be interested in hearing Belong — the sophomore album by Brooklyn's The Pains of Being Pure At Heart. If it sounds more epic than their somewhat timid debut, it's with good reason: Belong was produced by Flood and mixed by Alan Moulder —the team behind Smashing Pumpkins' monstrous Melon Collie & The Infinite Sadness, as well as iconic albums by Depeche Mode, The Killers, and Nine Inch Nails. March 29 is the official release date, but the record is currently streaming in its entirety. Keo Nozari had Billboard calling him a "young George Michael" a couple of years back, and that's still not too far off from where he stands stylistically. 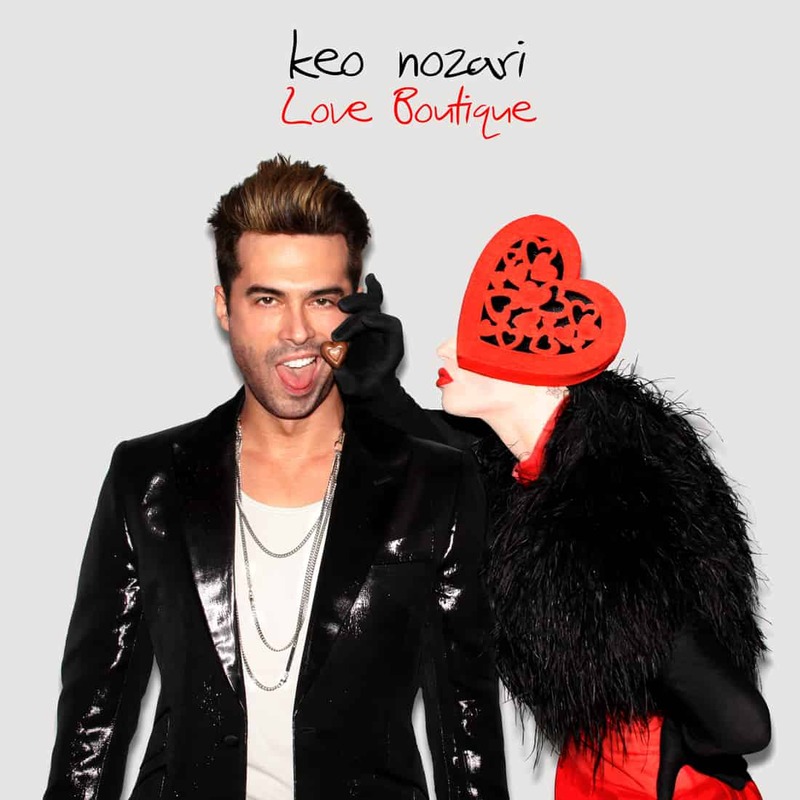 But while Love Boutique — his sophomore album out today — certainly owes something to Michael's sensual delivery, it's Nozari's experience as a DJ in the New York City club scene that informs his most original moments: Look to "Acceptable 2 U" for a compelling rock/dance hybrid that stands to be the authentic counterpart to "Born This Way" in the gay anthem continuum. The Chemical Brothers try their hand at film scoring this week with the release of the Original Motion Picture Soundtrack to Hanna — the latest cinematic vehicle for Cate Blanchett. As far as Chemicals records go, this one caters more to the psychedelic reel than to block rockin' beats — which, in this case, proves to be a boon for the British production duo: Tagged with restraint, the Chemical Brothers make a strong case for themselves as proper songwriters. It's kind of impossible to ignore that almost everything we love about glam, androgyny, and American new wave couldn't have happened without the existence of the New York Dolls, who almost unbelievably first disbanded in 1976. (If you don't believe me, ask Morrissey about their enduring influence.) Over 30 years later, David Johansen and company return this week for their fifth album — the wonderfully queerly-titled Dancing Backward In High Heels — and they certainly haven't mellowed with age: Johansen is one of a few remaining rock singers still allowed to sing songs called "I'm So Fabulous" and really mean it. Patrick Wolf — "The City"
Now that he's engaged to be married — to a man who works for BBC Radio, no less! — it seems as if Patrick Wolf is also finally ready to embrace a more ebullient kind of pop music in which happy endings are not simply faith, but fact. Unsurprisingly then, the lead single for Wolf's forthcoming Lupercalia is as joyous as this beach-based, wet-clothed, summertime bliss-out of a video. Living Sisters — "How Are You Doing?" As far as twee indie-folk goes, the Living Sisters are a supergroup of sorts; its lineup consists of solo star Eleni Mandell, the Bird and the Bee's Inara George, and Lavender Diamond's Becky Stark. But for their debut video, the trio take somewhat of a creative backseat to acclaimed director Michel Gondry, whose idiosyncratic visual fingerprint is truly all over this increasingly tender narrative. The National — "Conversation 16"
Far be it from me to deny that I'd be shamelessly into any video that stars Mad Men's John Slattery. I mean, it's not that "Conversation 16" isn't an incredible standout moment for The National's romantically morose High Violet — because it is! It's just that, well, I can't be the only one who appreciates a good silver fox. Also worth noting: Matt Berninger totally beat Nicki Minaj in the race to release 2010's first song about eating brains. Pete & The Pirates — "Come To The City"
Almost three years after their debut, Little Death, Pete & The Pirates trade in their scrappier British indie rock for this moody, but remarkably effective exercise in New Romanticism. "Come To The City" is being released as a digital single today from Stolen Recordings.